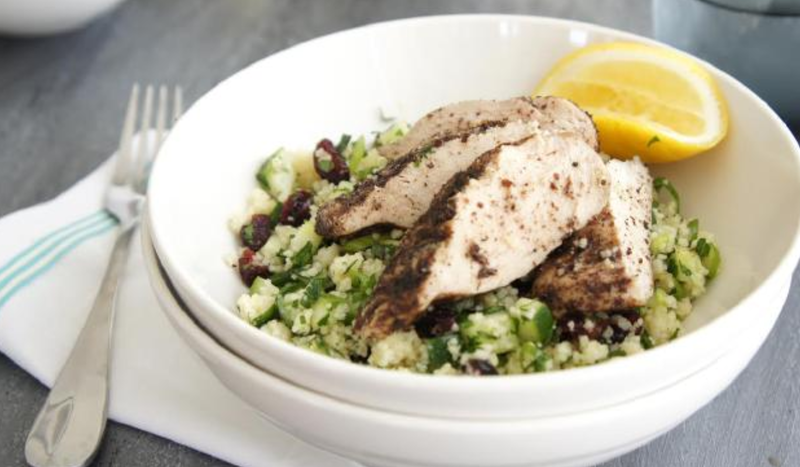 This meal is not only ridiculously good looking but so easy to whip up on a weeknight. 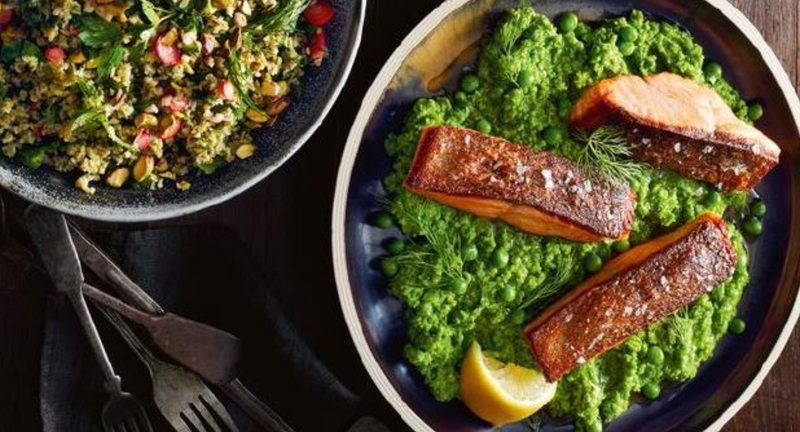 Salmon with pea puree and freekeh salad is light, nutritious and impressive if you feel the need to entertain on a Monday, but who would honestly do that? Ensure you perfect that crispy skin and this dinner is one you’ll be making on repeat. 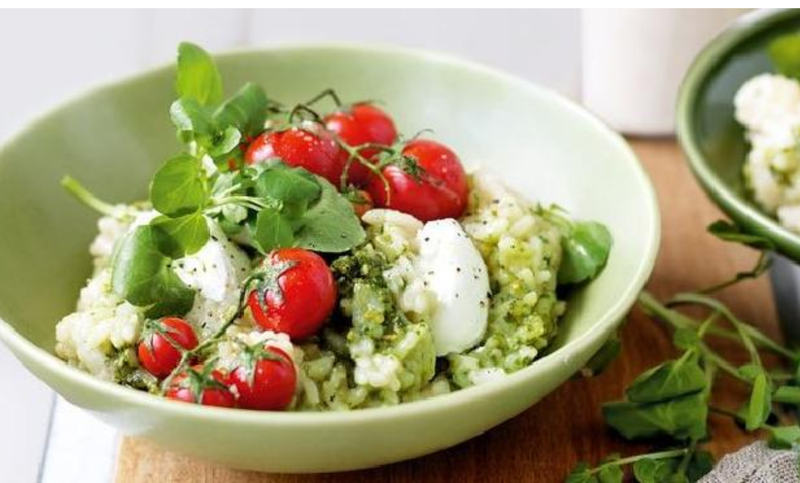 Use vegetable stock in this oven-baked risotto with pesto and goat’s curd for an easy vegetarian crowd-pleaser. Risotto is one of those dogmatic recipes made by incorporating stock one ladle at a time. However, this oven baked alternative is quicker, creamier and requires much less elbow grease … just don’t tell nonna how easy it is. 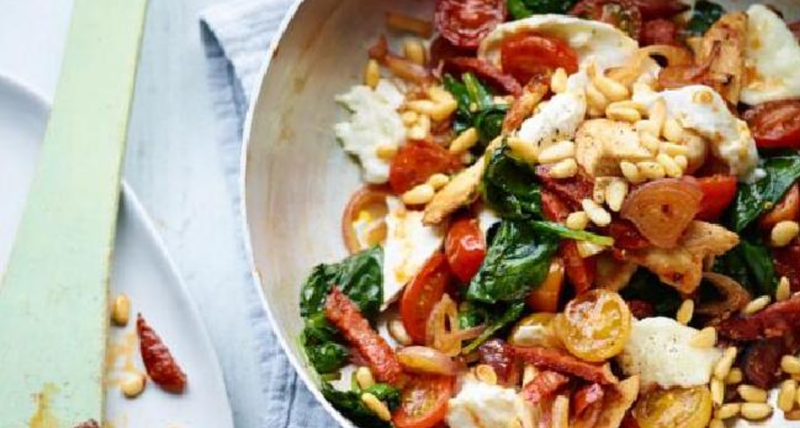 This one-pot, cheesy chorizo chicken with spinachis the dish you’ll cook once a week, every week, just because it is so simple and tasty. Also, chorizo and cheese are a Spanish match made in delicatessen heaven, so there’s that too. Friday nights in summer are only made better by Asian-style prawn coleslaw with lime coconut dressing and perhaps a bottle of pinot grigio to wash it down. Not the whole bottle this is a healthymeal plan. Use a mandolin to chop the cabbage and onion and buy your prawns already cooked. The hardest thing you have to do is pull off the legs, and any prawn-lover knows that’s worth the fiddle. 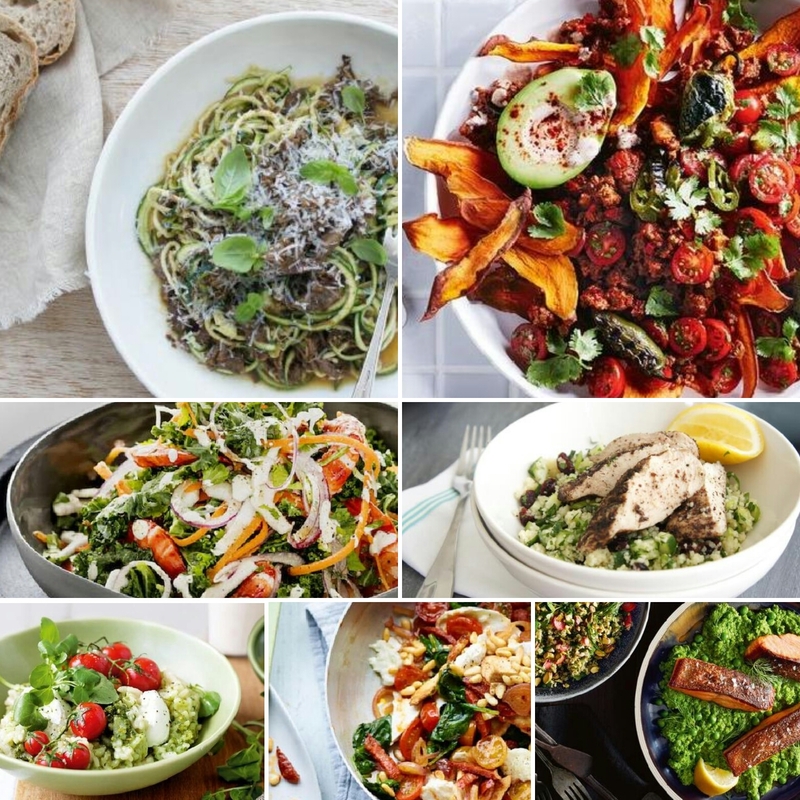 You thought healthy eating meant saying goodbye to a brimming plate of spicy nachos? Well, do I have good news for you! 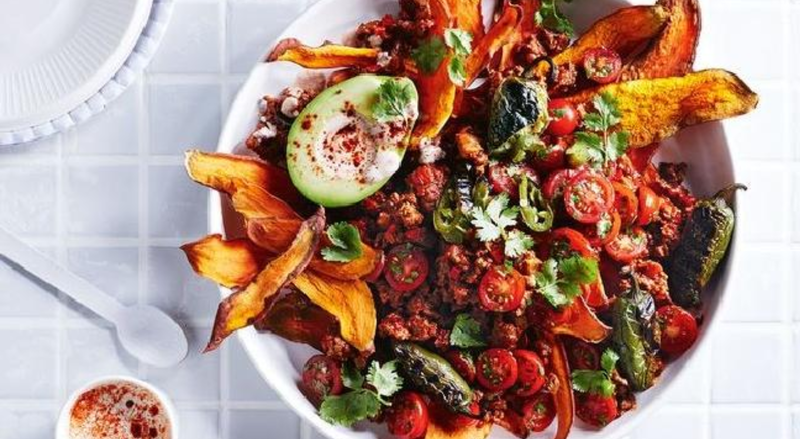 Crispy sweet potato paleo nachos is your answer to Saturday nights. Entertaining friends? Cooking for a loved one? Just plopping yourself down in front of the TV to divulge the latest episode of The Crown? We got you covered. Zoodle bolognese is such a versatile dish, it’s the only thing we could recommend for a Sunday night, when you’re exerting any sort of effort. 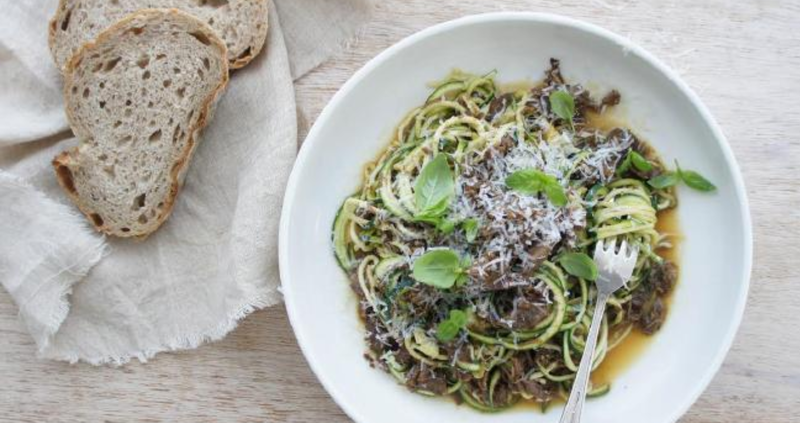 Run a couple of zucchinis through your spiralizer and toss through your favourite bolognese sauce. Go for a tomato base, or the traditional mincemeat version you’ve been eating since you were a three-year-old.